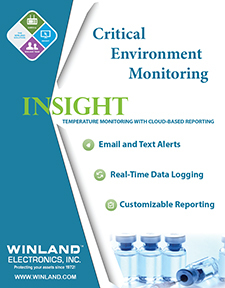 We offer the most comprehensive cloud-based alerting, reporting, and logging solutions available in the healthcare, pharmaceutical, and food service industries. 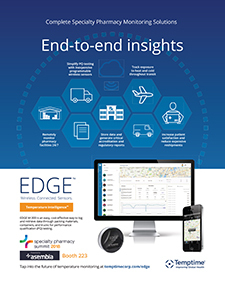 Imagine an easy, affordable, and reliable way to protect your assets in just a few clicks! 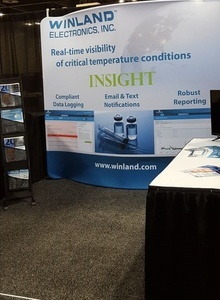 Wireless Temperature Control is a component that a wireless sensor network can provide. 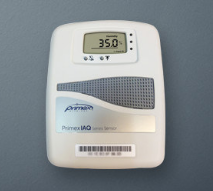 A wireless sensor network (WSN) consists of spatially distributed autonomous sensors to cooperatively monitor physical or environmental conditions, such as temperature, sound, vibration, pressure, motion or pollutants. The development of wireless sensor networks was motivated by military applications such as battlefield surveillance but in addition, there use proved to be beneficial in the healthcare setting. 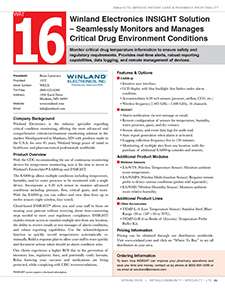 They are now used in many industrial and civilian application areas, including industrial process monitoring and control, machine health monitoring, environment and habitat monitoring, pharmacies and hospitals, home automation, and traffic control. In addition to one or more sensors, each node in a sensor network is typically equipped with a radio transceiver or other wireless communications device, a small microcontroller, and an energy source, usually a battery. 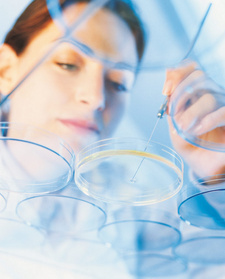 A sensor node might vary in size from that of a shoebox down to the size of a grain of dust, although functioning "motes" of genuine microscopic dimensions have yet to be created. The cost of sensor nodes is similarly variable, ranging from hundreds of dollars to a few pennies, depending on the size of the sensor network and the complexity required of individual sensor nodes. Size and cost constraints on sensor nodes result in corresponding constraints on resources such as energy, memory, computational speed and bandwidth. 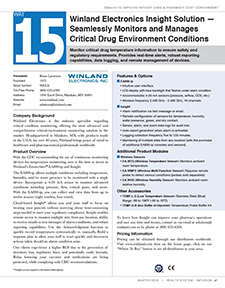 Within a pharmacy or hospital setting, Wireless Temperature Control will help determine if a pharmacy is compliant with temperature standards associated with certain drugs and compounds. 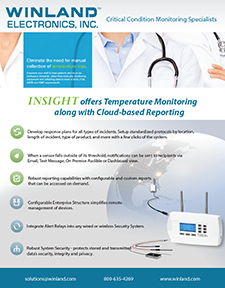 With a Wireless Temperature Control System, pharmacies and hospitals can verify they have been compliant with JCAHO. 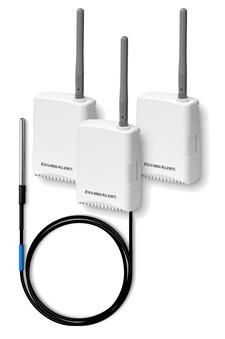 TempTrak enterprise wireless monitoring system now offers the fastest, most secure Wi-Fi transmitters on the market today! 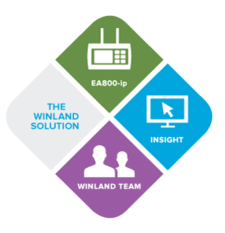 New 802.11 b/g/n platform runs up to 72 Mbit/sec and PeaPv0 (PEAP) robust network security protects highly sensitive data. 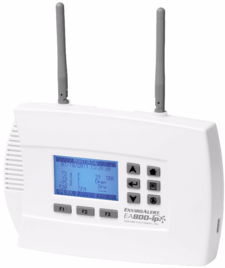 These new wireless transmitters feature visual and audio alarm indicators for local notification within range. 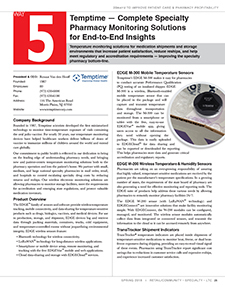 TempTrak by Cooper-Atkins releases its' most innovative wireless monitoring software, version 5.0, including new customizable viewing options, scheduled reporting features and mobile support. 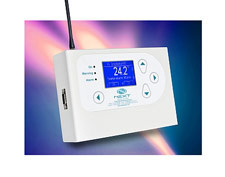 It offers the utmost user-friendly interface and high-tech navigation system, designed to make temperature monitoring easier than ever. Cooper-Atkins' newest edition to the TempTrak™ family. 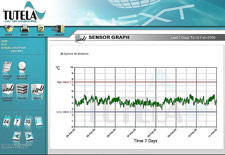 The TempTrak system now offers 24 / 7 wireless monitoring of inline air velocity and air flow temperature in duct work.